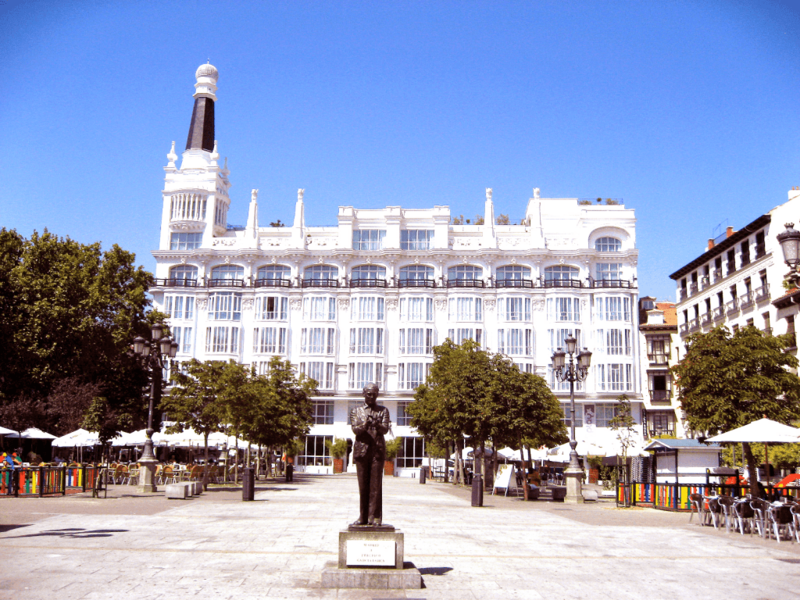 The guided tour in the Madrid de las Letras will visit the neighborhood and places where the most Known writers in Spain and beyond our borders lived and were inspired (Barrio de las Letras): Cervantes, Lope de Vega, Quevedo and Góngora, plus many others who, for centuries, enjoyed the bohemian atmosphere of the city of Madrid. Cafes, Taverns, tertulia bars and a huge night activity which will inspire all who decide to join us for this tour with our professional tourist guides. Duration of the guided tour : about 90 to 105 mis.